Hello Katie Girl: You Gotta Regatta! You gotta regatta in red, white and blue on the 4th of July, right? 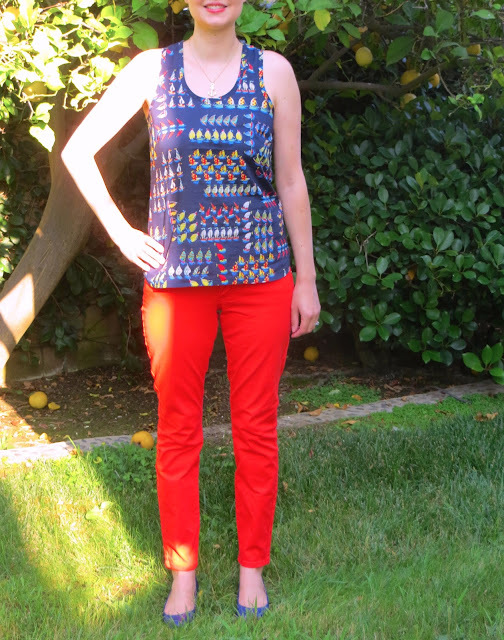 Here are some pictures of what I wore this 4th of July which included Ratti Regatta tank from J. Crew. I was taking a break from preping for the BBQ, grilling up a storm and tossing up a salad, among other things. 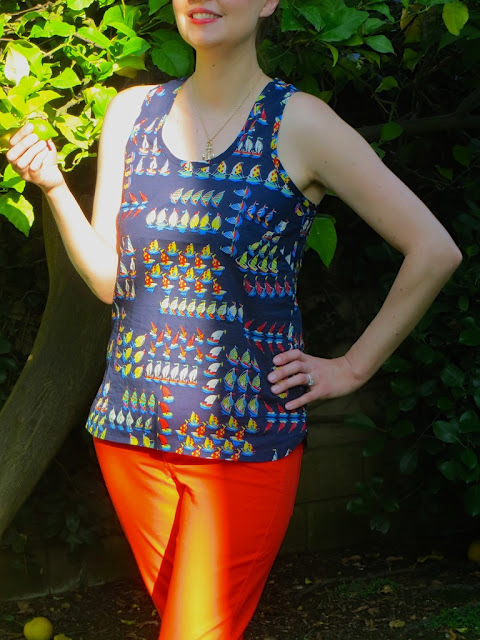 In between all of this I hammed it up for the camera a little, including this one pic of me next to a lemon tree. I hope everyone is having a great long 4th of July weekend! What are you planning to do, eat or wear? I wish I was attending a regatta, but I think I'll just kick back and enjoy my BBQ. Thank you Andrea and happy (belated) 4th of July! 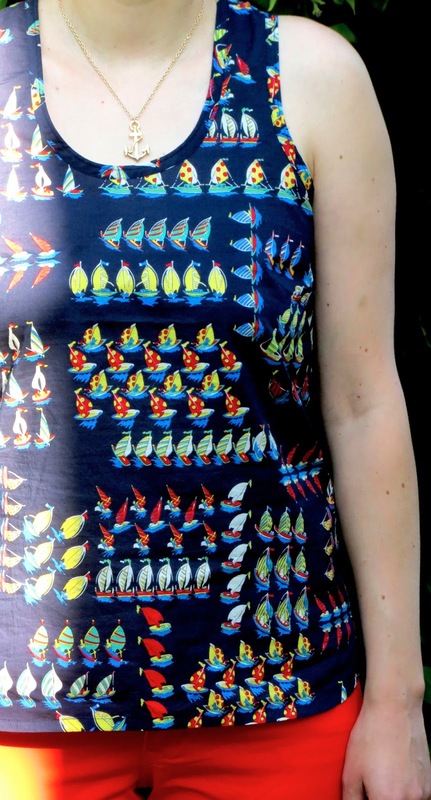 I do love a fun whimsical print, maybe a little too much!? I hope you had a great 4th of July weekend too! If I'm ever lucky enough to go to Henley then I'll have just the thing to wear! Awesome outfit - your anchor necklace is the perfect finishing touch! Thank you Lisa! I love the value of Forever 21 for pieces like this!